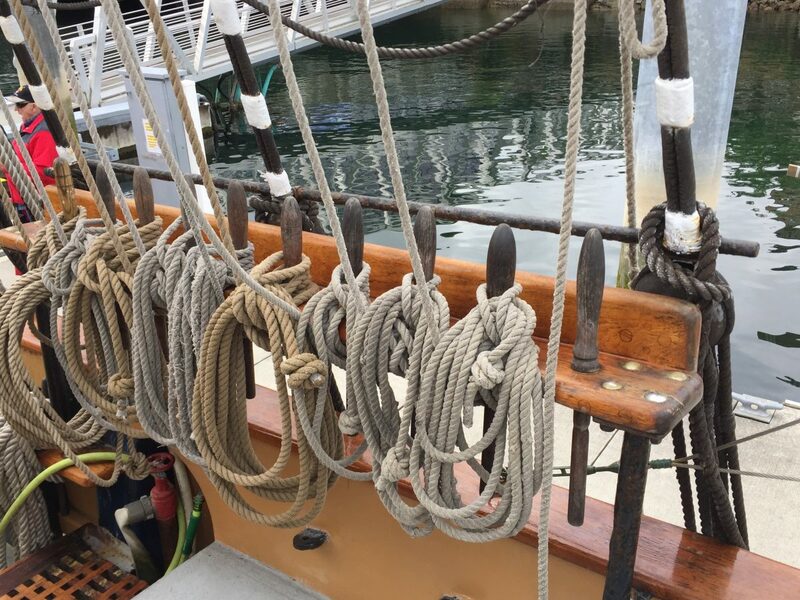 Last weekend the Festival of Sail, commonly known as the Tall Ships, brought quite a few seagoing sailing vessels to Tacoma, WA. Although we missed the parade of ships on Thursday afternoon, when the ships arrived with sails unfurled in all their glory, we did get a chance to tour some of the ships at anchor on Friday. 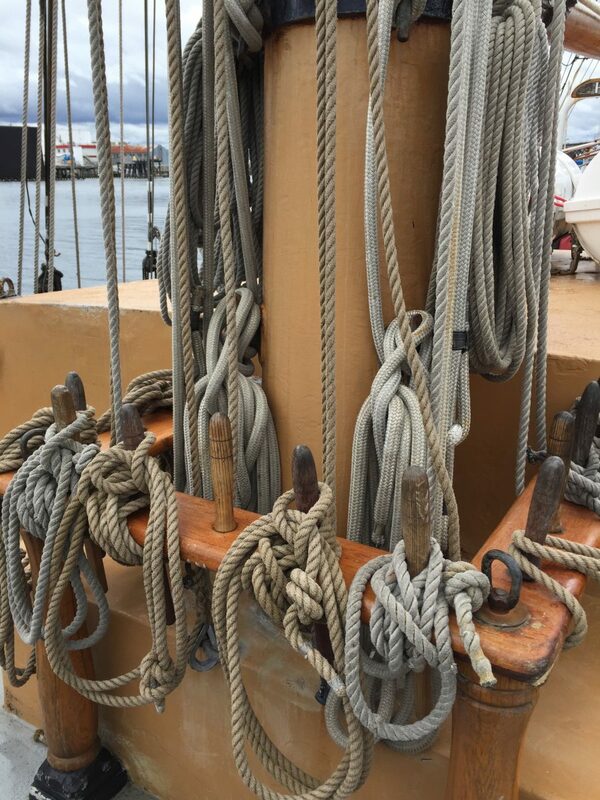 One of the most important elements on these ships is their ropes. Here are some illustrations. —from _Merriam-Webster’s Collegiate Dictionary, 11th ed.